Typing on the iPad on-screen keyboard is not too difficult. The keys are large enough that typing accuracy is pretty high, it is convenient since it goes where your iPad goes and it is there when you need it and gone when you don’t. However, if there is a lot of typing to do the Apple Keyboard Dock would speed up the process. The iPad is a lot of fun, but some people need to get some work done. The iPad Keyboard Dock is much like you – it multitasks. iPad Sync – Using the USB cable included with the iPad connect the iPad Keyboard Dock to a computer. The iPad will sync and charge at the same time. iPad Charging – Plug one end of the iPad power adapter into an electrical outlet and plug the other end into the iPad Keyboard Dock to charge the iPad. Music Enjoyment – An AV or stereo cable (not included with either the iPad or the keyboard dock) can be attached to the iPad Keyboard Dock and to a set of speakers turning the iPad into a music player. iPad to the big screen – An iPad Dock Connector to VGA Adapter (not included with either iPad or iPad Keyboard Dock) allows for some features of the iPad to be projected to a television or video projector. Some iPad Apps are optimized for this ability while others are not. 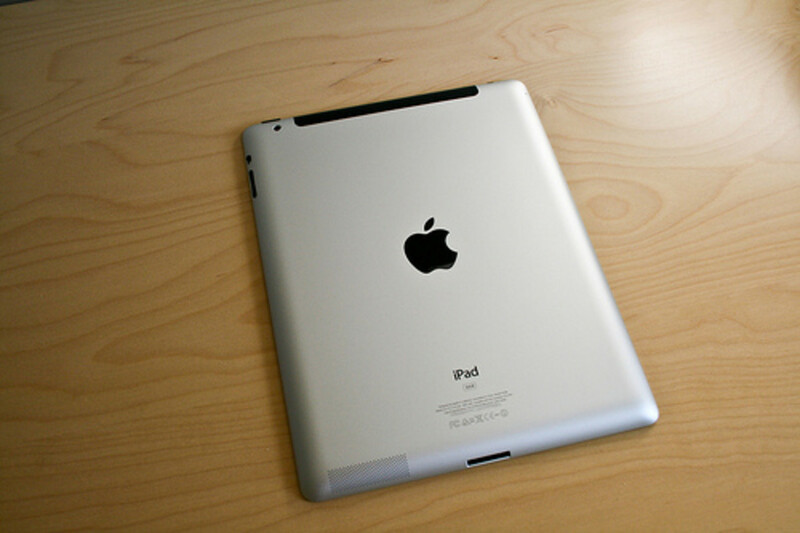 Ipad Stand – There are times that an iPad is best used while being placed in an iPad stand. The iPad Keyboard Dock provides a stand that is specifically designed for the iPad. Everything is compact and easy to use. Type on the iPad Keyboard Dock or tap what you wish on the iPad screen – without moving either device. 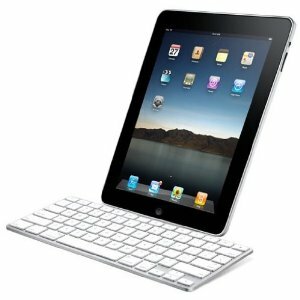 iPad Keys – This iPad Keyboard Dock is designed with specific keys that relate to the iPad. One key takes you to the iPad Home screen. One key takes you to the iPad Search. One key even pops up the onscreen keyboard (no jealousy here). In addition there are a few other keys change the iPad display brightness, takes you to the iPad picture frame mode and provides a way to lock the iPad screen. Sometimes functional items are not beautiful items. The iPad Keyboard Dock does not fit the stereotype. The low-profile keys are surrounded by anodized aluminum. The keys have a firm quick feel to them. The iPad dock is a white plastic iPad stand that extends under the keyboard to add a little lift and stability. 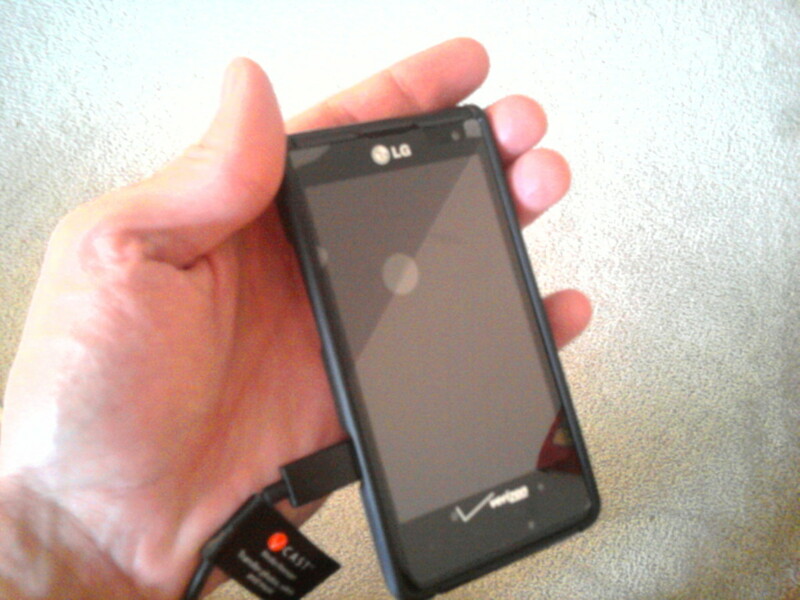 The total package is small, compact and does not take up much desktop real estate. The iPad Keyboard Dock is great when used at home or in the office. However, it is not designed for mobility. For a travel friendly alternative take a look at the iPad Bluetooth Keyboard. Life is full of choices and what works well for one task does not always work well for every task. The iPad is a cool self contained gadget and can always be used alone. An iPad Keyboard Dock adds functionality to the iPad when you need it. How to Use Your iPad Pt. 2: A Simple, Basic Guide to Training Just Using Your Finger!